Boarding a plane may sound like a pretty straightforward process, but in practice it has proved to take longer than it should. With so many variables, it is conceivable that issues can arise. From people not being at the gate on time to baggage issues and other unforeseen circumstances, there are many things that can delay the boarding process. To address this issue, some airlines are beginning to test new ways to speed up the boarding process and get the plane off the ground more promptly. Both Delta Air Lines and Southwest Airlines are making adjustments to their boarding process to try to make boarding more efficient. Delta is offering to pre-load passengers’ carry-on bags above their seats, the idea being that flight attendants should be able to load the overhead baggage bins more quickly than passengers. The service is intended to help clear the aisles and allow passengers to take their seats more quickly. It should also prevent the overhead bins from being filled with items that could otherwise be placed under the seat. One of the potential issues with this service is passengers opening the overhead bins to get personal items out of their carry-on bags before the plane takes off, potentially jamming up the aisle. Southwest is adjusting their boarding policy in response to complaints about families not being able to find seats together. Since Southwest does not offer assigned seating services, flight attendants often spend time asking passengers to move to allow families to sit together. Why are airlines testing these boarding processes? Slow boarding has a huge impact on efficiency. It can cause flight delays, leading passengers to miss connecting flights, which can result in unhappy customers and increased operation costs. USA TODAY reports that every minute a plane stands idle at the gate costs the airline about $30. Considering that about one in four flights run at least 15 minutes late, the costs add up. Get to the airport on time: Arrive early enough to check in your baggage and get to the gate on time so that you don’t keep the plane waiting for you to board. Have your documents ready: Have your ticket and identification in hand before you line up to board the flight. Have it ready for the flight attendant to scan. Don’t try to sneak in oversized carry-on baggage: There are at least a few passengers on every flight who arrive with carry-on baggage that exceeds the allowable limits. This delays the boarding process because attendants then need to take the time to verify the size of the bag and potentially have it loaded on the plane as checked-in luggage. Be at your gate on time: Get to your gate at least 30 minutes before boarding time, just in case the airline starts the boarding process early. You know when the flight will board, so avoid being on the other side of the airport. Keep track of the time when you are in the airport. Keep the family together: Keep your family together and have everyone’s documentation ready for the boarding process. Listen to the announcements from the airline: You never know when the airline may call your name. Pay attention to any announcements and follow instructions if they apply to you. Get out of the aisle promptly: Once you board the plane and put your carry-on bags in the bin above your seat, sit down and clear the aisle so other passengers can get to their seats. 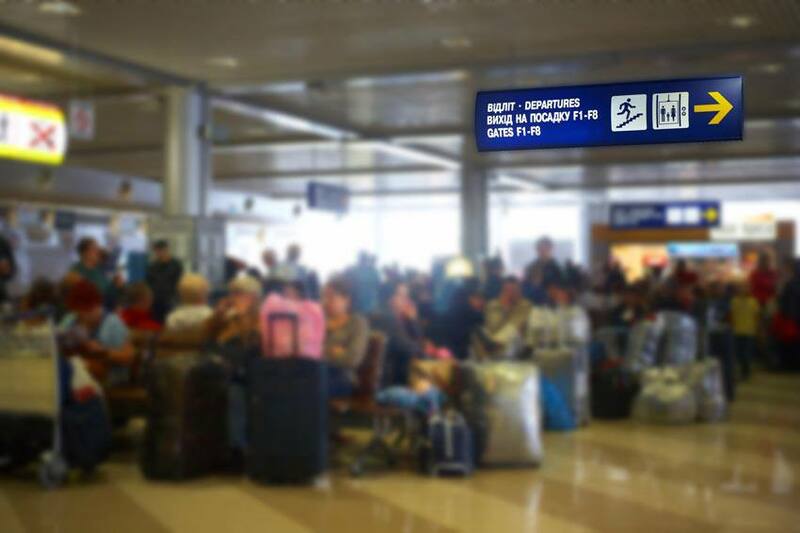 If airlines and passengers work together, wait times at the gate can be minimized. No one wants to miss a connecting flight, and boarding delays increase the risk of this happening.